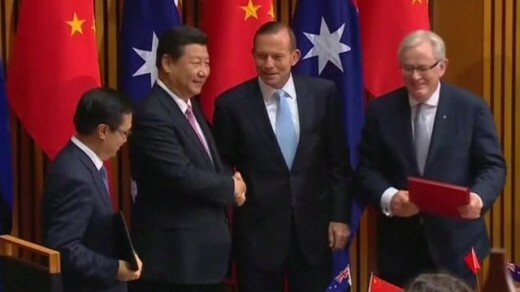 Image: Australia signed a Free Trade Agreement with China on 17th November 2014. The services industry, which includes hospitality and tourism, has been named the biggest winner in the historic Free Trade Agreement signed between China and Australia on 17th November 2014. Most notable for the services industry is that Australian businesses no longer need to be in partnership with a Chinese person or organisation when they do business in China. This means that hotel and restaurant chains, plus food distributors, can operate freely in the world’s fastest growing economy. 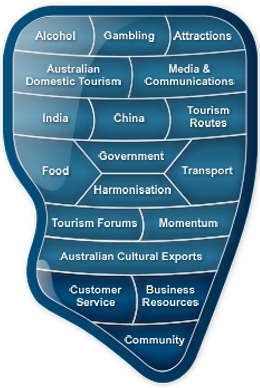 The opening up of the services industry aims to give Australian services (AKA tertiary industries/ professional services) – such as law, accountancy, engineering, creative etc – the capacity to grow in China as China seeks to give structure to its rapidly developing middle class. The services industry currently accounts for 70% of Australia’s GDP and employs 4/5 Australians. Trade Minister Andrew Robb is effectively the minister for international tourism since the tourism portfolio was split between the Department of Trade (international/ inbound tourism) and the Department of Industry (domestic tourism). Radio National’s Fran Kelly described Andrew Robb as the ‘quiet achiever’ of the Abbott Government, and this achievement is made all the more significant by the admission on Annabel Crabb’s ‘Kitchen Cabinet’ profile TV show that he had long suffered a debilitating depression. Andrew Robb has suggested that for China, Australia can effectively be considered ‘a special economic zone’ – a term that has historical significance in regards to China’s few-and-far-between moves towards free trade and cooperation with other countries. Regarding agricultural exports, the government has outlined that 94% of Australian products will be export-free in four years, with some tariff cuts effective immediately. The free trade deal signed by New Zealand with China in 2008 resulted in NZ dairy exports increasing sixfold since 2008 to create a $5b industry for New Zealand. Prior to Australia signing the China Australia Free Trade Agreement (CHAFTA), Australian exporters were hopeful Australian export industries would receive at least as good a deal as New Zealand. Australia did, on dairy, beef, and many other exports, but not on sugar, rice, wheat and car parts manufacture amongst other things. Politically, Labor and older Liberal governments are both taking credit for the deal. Many commentators have said many of the details were negotiated under the 2007-2013 Labor governments, whilst Liberals talk up the deal as having been started under John Howard’s leadership. Chinese and Australian commentators alike have noted Chinese president Xi XingPing’s overtly friendly language as he addressed the Australian parliament, only the second Chinese president to ever do so. China Business Spectator editor Peter Cai said the Chinese president’s language represented an unprecedented charm offensive that was symbolic of China’s strong intentions of friendly relations with Australia. Mining magnate Andrew Forrest is simultaneously developing the ASA100, the “Australia-Sino 100-Year Agricultural and Food Safety Partnership”. Forrest says that less than 1% of his personal business interests are in agriculture – he just has a genuine love of the game. Forrest said on the ABC’s Radio National that his agricultural export interest started as a youth and was flared when as a businessman in China, he noticed a lack of Australian-branded products in Chinese retailers. Forrest’s non-government move toward branding Australian products is of significant use to Australian tourism industries, with less tangible Australian cultural exports such as music, art, and the branding of wool for fashion industries being more difficult for government to take on. Of the biggest concern to western service businesses though, will be the possibility of recourse when things go wrong whilst doing business in China. China’s legal system currently does not have the stringent legal frameworks that businesses in Australia enjoy, so more robust regulation will need to be set up, industry by industry, in the coming years.